How to become debt free is one of the highest priorities in the lives of the average family. Unfortunately, most families don’t have a great plan for getting out of debt. Part of the reason for that is the hopelessness they feel thinking about how they can possibly stay out of debt, once they’ve managed to become debt free. 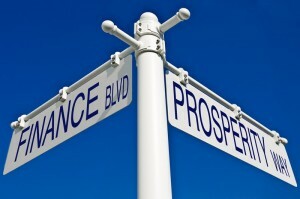 Consequently, debt elimination falls by the wayside even though it continues to be a priority. I say, it’s not a priority but a flat out necessity in our lives if we are to experience any level of significant financial prosperity in our lives. But how can we do that? How to become debt free and not go back into debt again? That’s the million dollar question. In my 20 years in financial services, I’ve met with and spoken to many small business owners and self-employed people. I don’t profess to be a small business expert. But I know a little about the lives small business owners live….just from talking with them for so many years. Being self-employed or owning a small business is not easy. Many small businesses have failed. In fact, most small business ventures fail. Money can be hard to come by, and it doesn’t always seem to get easier as you grow your business and add employees. Some small businesses don’t grow enough to add any employees, or maybe just one or two. Other small businesses are very successful, support many employees, and reward their owners with a great income. But money for on going operations and expansion is still a challenge. How difficult is it to accumulate a healthy savings account, and how can you grow that account safely? What about loans and lines of credit for your business? That can be quite a challenge as well. And if business slows substantially, what kind of stress will you experience knowing you have loans and lines of credit to repay? I read an article that appeared in the Wall Street Journal on November 23, 2013. The stock markets today are as confusing as ever. This blog post is one you will definitely want to read. I decided to shoot a video about what I read, and I believe it’s one of my best videos to date. In the video I explain what I learned is this article. It’s timely information you need to know. 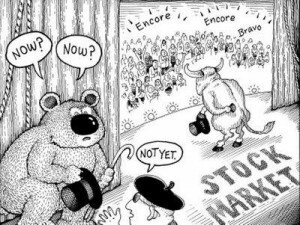 Let me ask you….are you a Bull or a Bear? Folks, the stock market is not for everyone. If fact, most people now a days should consider keeping a good portion of their money out of the market. What do you mean by that, Victor? The market has been doing well this year, you may say. It’s a bull market. I’m not giving investment advice here. I’m going to share some information, and I want you to use your common sense as you read and listen. How to become debt free and live a debt free life is what my website is all about. On October 25, I wrote about a little applied, fundamental principle that leads to financial prosperity. Read about it HERE. As I thought more and more about the subject, I felt compelled to shoot a video sharing my thoughts. Folks, if you can get this right consistently, no telling what awesome things you can accomplish in your life. Watch the video about Generosity: A Key to How To Become Debt Free, and let me know what you think. Let us know how this principle has worked in your life. By the way, in the video I meant to say the book of Proverbs.